Can you imagine a cold and drizzly winter night; and all you can think about is getting home, putting on something comfortable and getting cozy on the couch. Wouldn’t it be nice if you had something hot to eat to warm you? You know, the answer is soup! 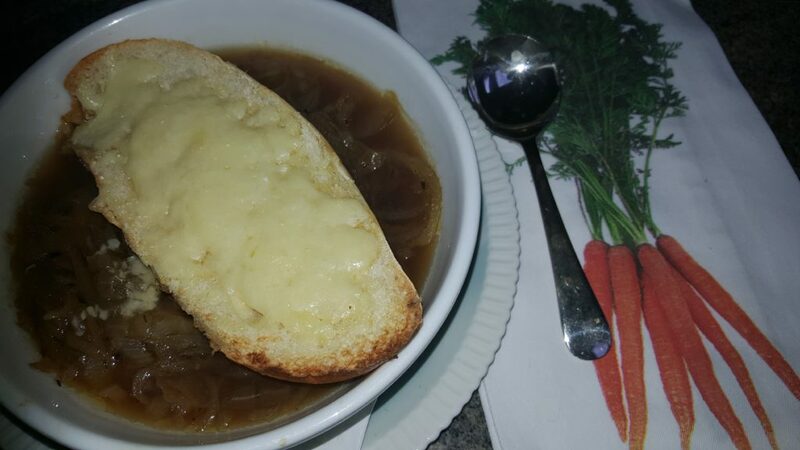 Soup is so easy to make and one of the easier is onion. Why is it so easy? Because with this recipe it is made in a crock pot. The hardest part is peeling the skin off the onions before slicing them. Topped with a hearty slice of bread and Gruyere cheese, you’re all set. Pour yourself a glass of white wine and the woes of the day are a thing of the past. Melt the butter and olive oil in a pot on the stove and pour into the crock pot. 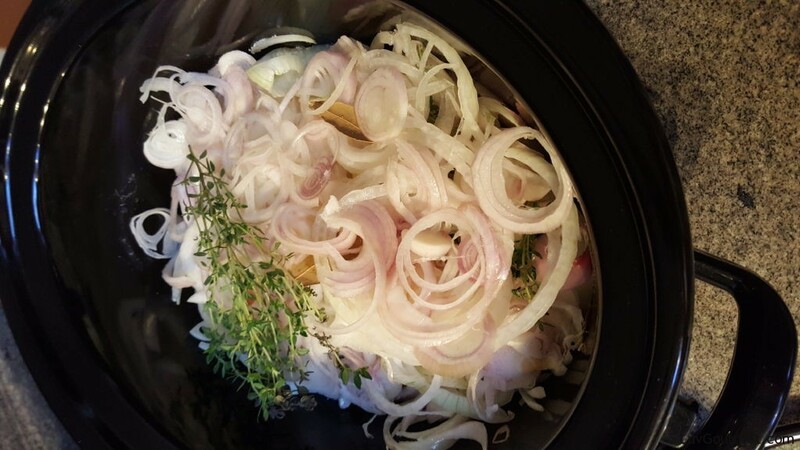 Slice onions and shallots and transfer to crock. Add in sugar and mix all together. Add beef broth and wine and cook for two more hours. Top with bread with grated Gruyere cheese. Sounds easy and delicious!! Can’t wait to try this one this weekend when it turns cold again!